Bank fraud covers a variety of white collar crimes. People tend to get caught up in bank fraud since they believe they’re not harming anyone in particular. Contrary to such impressions, however, bank fraud is still a crime that results in hefty charges. There are two main methods of attempting bank fraud: posing as a financial institution to trick people out of their money or illegally obtaining funds from a financial institution. Whether you pretend to be a bank or lie to a bank, both are considered fraud. Bank fraud comes in varying degrees of complexity and severity. It’s even possible to be guilty of fraud for making what seems like a small mistake or white lie. Check forgery – Deliberately tampering with the details written on a check such as changing the amount or altering names or forging a signature. Internet fraud – Posing as a financial institution online or creating a website for a nonexistent institution and convincing people to send money to you. Fraudulent loan – Withholding or falsifying required information on a loan application. This may involve lying about your income, identity, or employment. You can also be charged with fraud if you apply for a loan and file for bankruptcy immediately after. Most banks are backed by the federal government. This means bank fraud is usually a federal crime. Being charged with it could leave you owing thousands or millions in restitution and spending decades in jail. 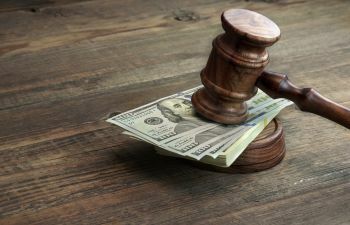 Fight bank fraud charges with the help of experienced Atlanta defense attorney Richard Grossman. Call today for a free consultation.